Up to 3,000gph – A tankload of flow from a small in-tank footprint. Painless Setup – Just connect and go, it’s as simple as that. Smart Control – Easily create a schedule that fits your tank’s needs. Aqua Illumination's Nero 5 creates an adjustable broad flow that is strong but gentle at the same time. Traditional propeller designs produce a hard stream that can irritate corals where the Nero 5's innovative propeller pushes water in a wide pattern that can move foods, detritus, or other free-floating particles around without blasting corals directly. Powerheads have many different uses around a reef tank, but the main goal is to produce enough flow to keep low-flow spots from forming in your tank and help elevate detritus to be sucked into the filtration. With BlueTooth LE technology you can set the pump up into different modes, or create a daily schedule to change the flow up throughout the day. Now with BlueTooth LE, connect to your pumps faster with a longer range and unlocks a bunch of features, but mostly lets you skip the whole process of creating a wireless network to interface through. 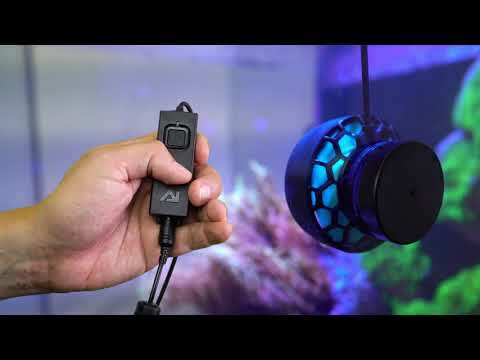 Now with the Aqua Illumination Nero 5, open the MyAi App, choose a mode, and control the flow in your aquarium. 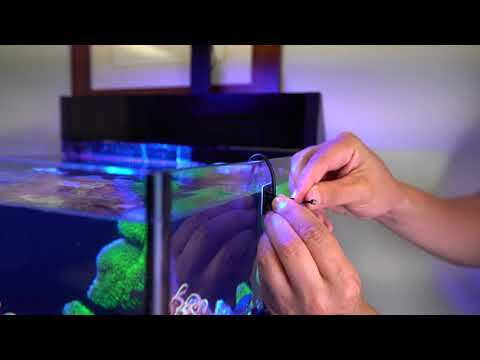 Different flow modes let you choose what is right for your corals and fish. A couple notable modes are the Random and Schedule modes, create a full-blown daily schedule that cycles through different modes and settings throughout the day, or let the Nero 5 randomize itself with the Random mode. The included controller only has one button but is very powerful and if you do not want to control the pump through a smart device don't worry, pressing or holding the button for different lengths of time can change the speed, mode, or turn the pump off or on without having to access any additional control interfaces. Random - Keep your tank guessing with the random flow mode. The Nero 5 will randomly change its flow rate throughout the day creating natural water movement throughout your reef tank. Pulse - Creating a standing wave can be done with the Nero 5 in Pulse Mode. The pulse interval can be changed to harmonize with your aquarium, along with the max flow rate. Having a wave can cause additional stress on your aquarium, but is a great method for lifting settled detritus from hard to reach areas. Constant - Set it and forget it! 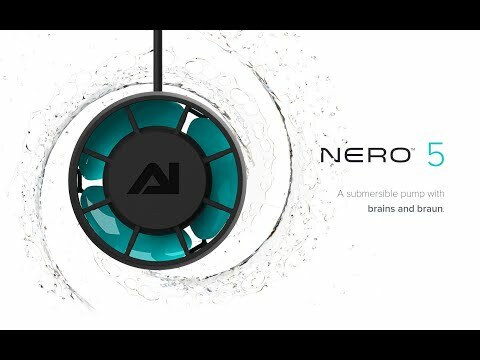 Just set the appropriate flow rate and the Nero 5 will keep flowing at that speed until you change the mode or flow. Schedule - Create a schedule that can utilize multiple different flow modes. With the MyAi app creating a schedule for your flow is simple and can be done in minutes! Feed - If you target feed, having a pump with feed mode is a requirement. Just hold the driver button for 2-5 seconds to put the Nero 5 into feed mode for 10 minutes. All-Off - Turn off your pump whenever you want with full control over when they turn back on. Just hold the driver button for 6 or more seconds to turn the pump off. Touching the button again will restart the pump. Mounting the Nero 5 only takes a minute and with the included magnetic mounting system moving the pump around only takes a second. Giving around 15° of movement, you can angle the Nero 5 to direct flow in your aquarium where you need it. The two-part mounting system incorporates an inner magnet and an outer magnet that can couple together through 1/2" of glass or less, and the pump then sits into the beveled inner magnet for an isolated and quiet mounting system. Pros: Really does move a wall of water. I have mine at the end of a 31" deep tank and it creates a substantial amount of flow from top to bottom (running at 20%). I do like the low profile, not as visually distracting as some others that stick way out from the side of the tank. Cons: Though the description indicates a wide range of directional control, the amount you can truly angle this pump is insignificant, pretty much straight ahead. Recently received the pump for my 4 foot long 75 gallon African cichlid tank. The water flow is good for such a small pump. But that's the only pro.